Western Star displayed its most rugged trucks and vocational product options at World of Concrete 2019, held January 22-25, 2019, in Las Vegas. In addition to the enhanced 4700, Western Star 4700, 4800, 4900 and 4900XD truck models were also on display, each showcasing different vocational applications, such as crane, mixer, dumps and more. Western Star also hosted its 9th annual “Western Star Trucks Get Tough Challenge”. Show attendees could sign up to drive their choice of Western Star 4700 trucks on a short course while being scored on a 50-point scale. One grand prize was awarded to the overall top contestant, with daily winners receiving prizes. All entrants received Western Star swag. 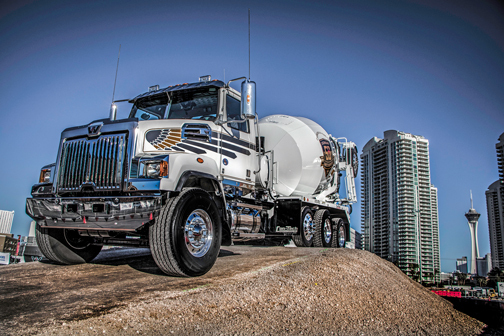 Source: Western Star Truck Sales, Inc.